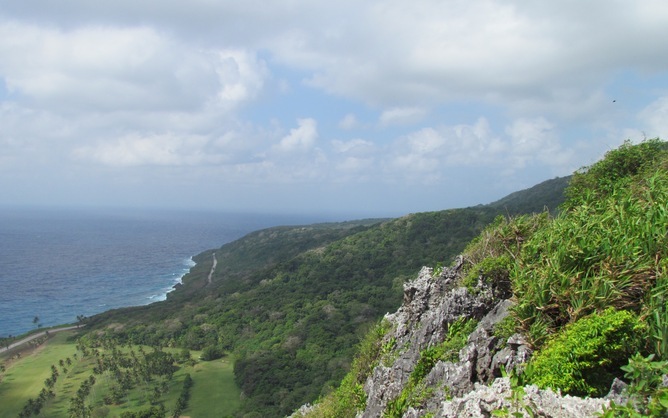 John Woinarski receives occasional funding from the Australian environment department for consultancies relating to biodiversity conservation on Christmas Island. He also enjoys living there, mostly. 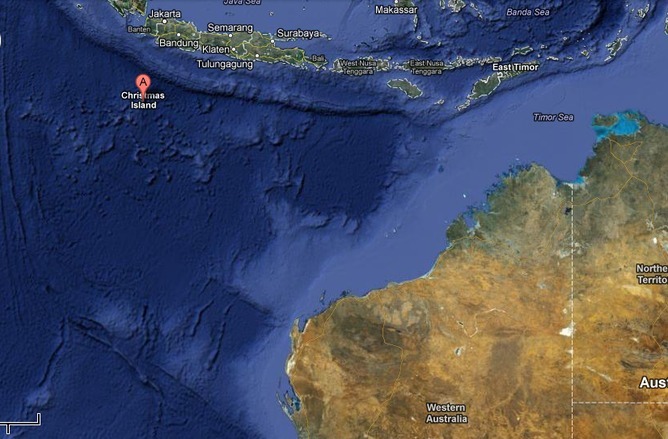 Christmas Island is a dot in the Indian Ocean. Like any isolated island, it is peculiar. But here this peculiarity is especially pronounced. It has a strange history, an odd culture and a remarkably distinctive biodiversity. Unfortunately, it is now best known to Australians simply as an entry point for refugees. Remoteness has that effect, of distorting truth and value. Christmas Island is small (about 135km2) and little-populated (about 2,000 permanent residents). It has been settled only since the 1880s; for much of the period since then it was administered by the Straits Settlement (Singapore), with inclusion as an Australian territory only since 1958. Phosphate mining was the reason for its settlement, and has persisted as the main (sometimes only) industry ever since, leading to loss of about 25% of the Island’s rainforest area. Reflecting that history, its ethnic make-up is now mainly Chinese and Malay (arising from workers imported as “coolies”). The small community is remarkably vibrant and tolerant: there can’t be any other place in Australia with two public holidays per year celebrating Christian holy days, two for Muslim holy days and two for Chinese festivals. The call to prayer rings out over the community from the small mosque; everyone is welcome at the Chinese festivals. Christmas Island is old. It is a volcanic seamount island, rugged and isolated, rising more than 4km from the deep sea floor, with the nearest land being Java, about 360km distant. Over the long period of its isolation, these features have crafted a unique environment. It is characterised by high levels of endemism for many groups and idiosyncratic ecological structuring. Most of its reptiles, native mammals, and terrestrial birds occur (or occurred) nowhere else; and nearly 200 invertebrate species are considered endemic. There are very few areas in Australia (indeed, in the world) that can match such narrow endemism. It is also a haven for seabirds, recognised internationally for such significance. 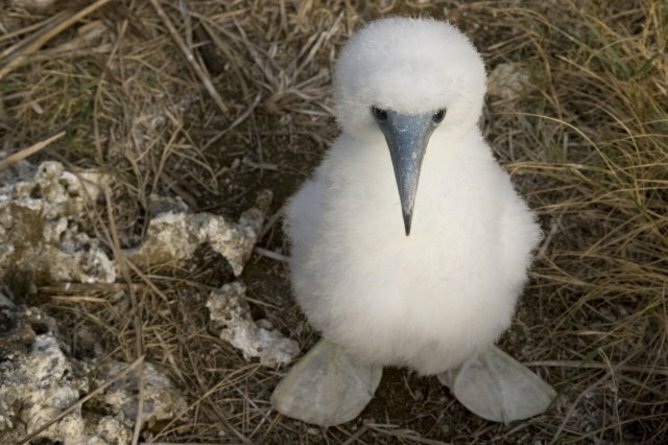 It is the only breeding site for the threatened Abbott’s Booby and Christmas Island Frigatebird, and for the exquisitely beautiful golden-coloured subspecies of White-tailed Tropicbird (which graces the Island’s flag). 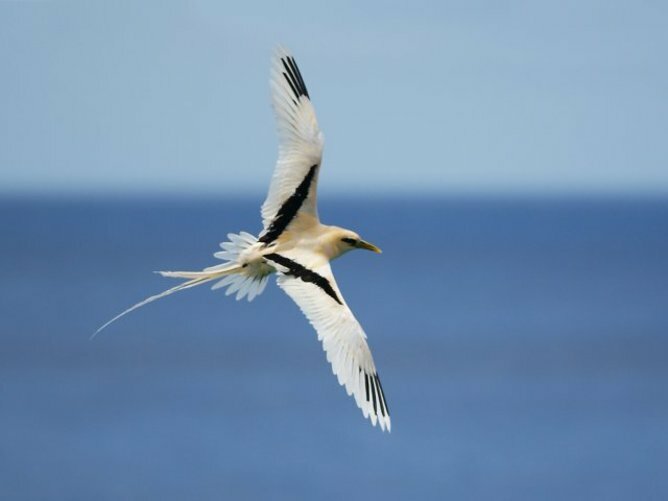 These seabirds and others soar and float above the settlement, and nest in and around it. Fringing the Island is a rich coral reef, and its clear warm waters are home to more than 600 fish species, with regular visits by Whale Sharks. These values would readily meet World Heritage criteria. But, except among some twitchers, keen to visit to build their Australian bird lists, these attributes are little known to most Australians. 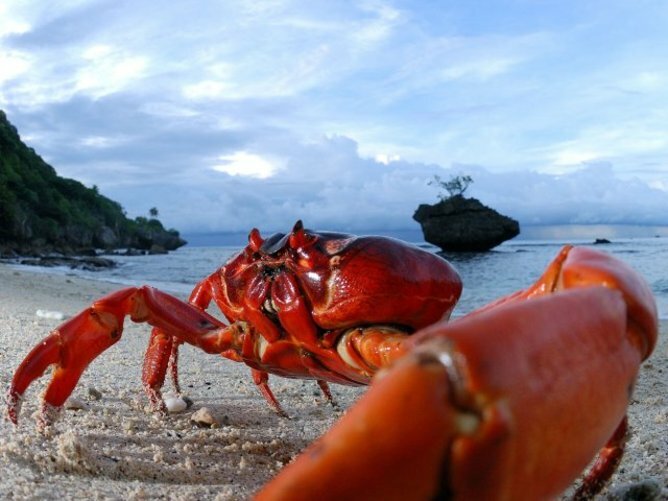 Instead, Christmas Island’s nature is known, if at all, mainly by reference to its land crabs. In staggering abundance, diversity and ecological potency, these are indeed remarkable. The endemic Red Crab is the most conspicuous, with a population of at least 40 million. 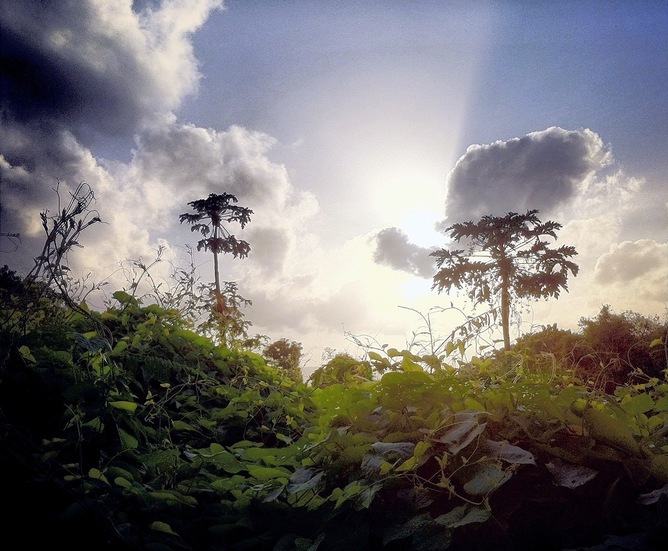 It is the Island’s ecological lynchpin, engineering the forest structure and productivity. It is everywhere; but spectacularly so in its annual breeding migrationfrom forest to sea, when the forest floor, roads and gardens become moving masses of crab: one of the world’s great animal migrations. 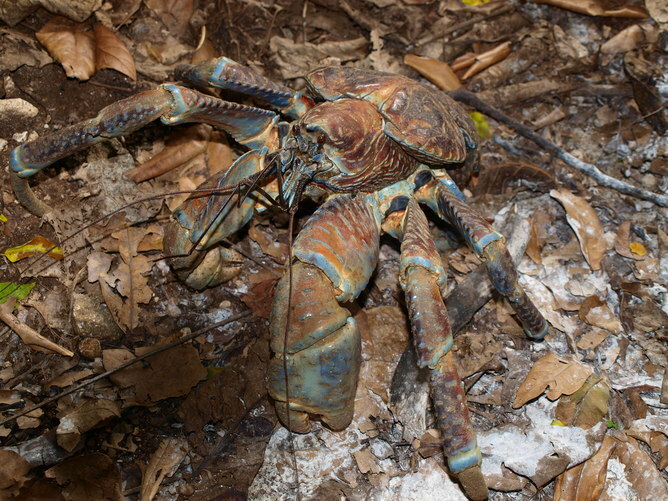 There are many other land crab species present, but none more strangely charismatic and enigmatic than the Robber (or Coconut) Crab, the world’s largest terrestrial invertebrate. 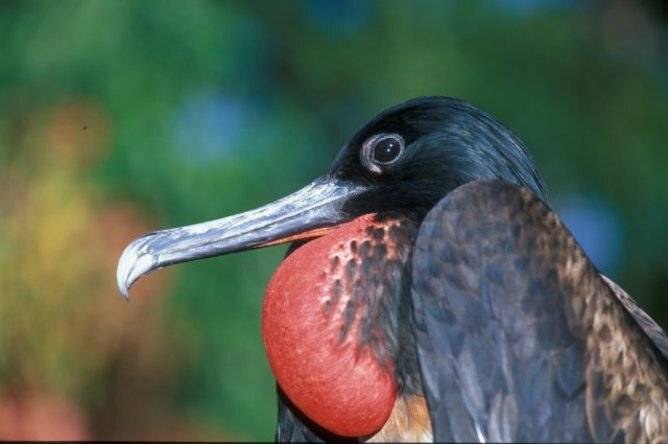 This species, growing up to four kilograms, was formerly abundant on many other islands, but has been greatly reduced or lost from most places, and Christmas Island now represents its major stronghold. For the Robber Crab and other species, laws, large areas of retained native vegetation, limited human population, and a large national park (comprising 63% of the Island area) offer unusual levels of protection. But problems for Christmas Island’s biodiversity are more insidious and deep-rooted. Reflecting the dominance of the phosphate mining industry over its settled area (and consequential disregard for its natural values), the Island has had little or no quarantine or biosecurity system. It has been the fate of most islands worldwide, with impacts often pronounced and fatal because of small island size (and consequently small and tenuous populations of endemic species). Once the isolation that has moulded the biota is breached, that biodiversity may be doomed. Now, the Island supports nearly as many introduced as native species, and the introduced species include many of the world’s most pernicious invaders. The most problematic is the Yellow Crazy Ant. 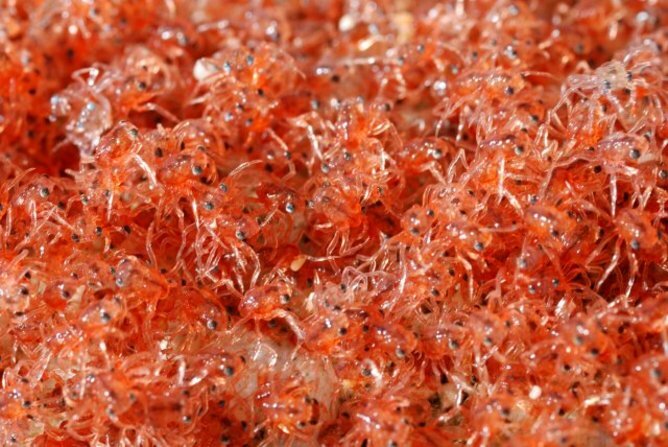 Fuelled in part by resources provided by super-abundant invasive scale insects, it forms immense supercolonies within which all Red Crabs (and much other biodiversity) are destroyed. Invasive Giant Centipedes, Giant African Landsnails, geckoes and Wolf Snakes compete with or consume native species. Such loss in turn disrupts the narrowly-based ecological functionality, leading to “invasional meltdown” or ecological collapse. The most recent manifestation of this collapse, in 2009, was the extinction of the Christmas Island Pipistrelle (reducing the original complement of five endemic mammal species to just one species known to have persisted). Others will follow: the Christmas Island Forest Skink is known now from only one individual, eking out its solitary existence in a cage. These problems are being addressed, by intensive and extensive baiting which temporarily reduces the number of crazy ants, by captive breeding for two endemic reptile species now almost lost from the wild, and by research that aims to find more enduring and effective methods for control of some of the pests and weeds. But the challenge is immense. This is a most remarkable isolated world. In such a small place there is so much that is unique, inspiring and wonderful. It has existed little changed for millions of years; but its natural environment is now dissolving at a rapid rate. It will bring you much delight and sorrow.